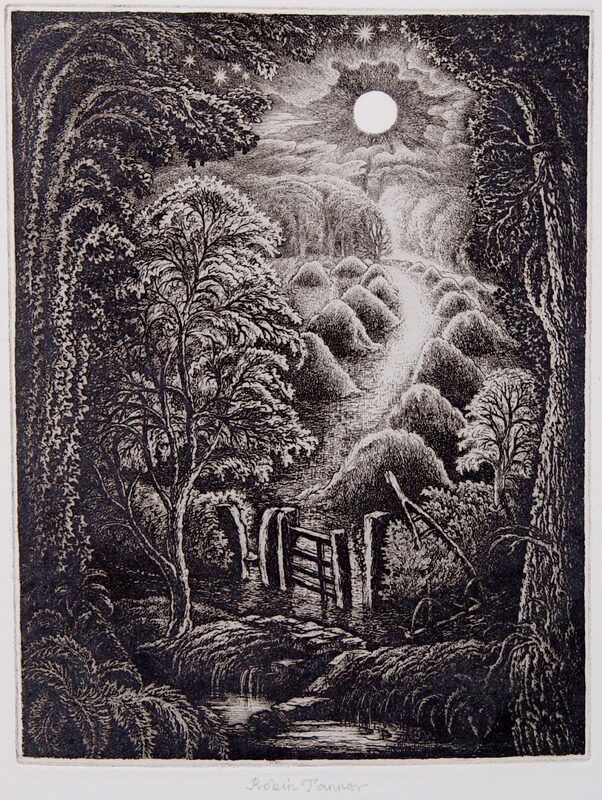 Associated with the British etching revival, Tanner was inspired by a major Samuel Palmer retrospective exhibition in London in 1926. The early Shoreham prints by Palmer and the technical virtuosity of F.L. Griggs influenced both his early 1930s and later etchings.